Our Mojo towel is not like any other towel on the market. Don't let the softness fool you! Wipe your hands on this towel when you're fishing, wait about ten seconds, give it a good pop, and watch all the fish slime bead right off! 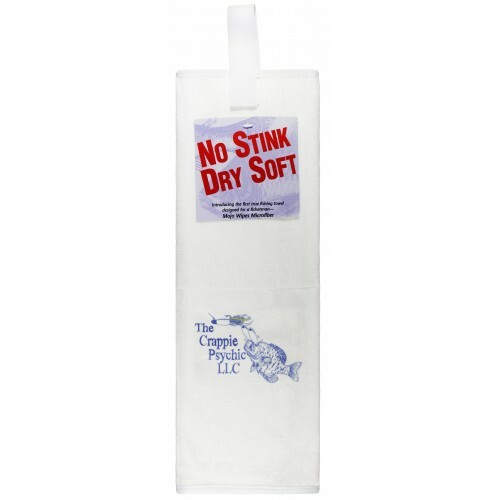 With our unique logo on it, this "No Stink Dry Soft" towel makes a great gift for any fisherman!